Improving your overall oral health through education, treatment and experience. We offer a choice of tooth whitening systems, both home whitening and in-surgery, which our hygienist will be delighted to discuss with you in more detail. 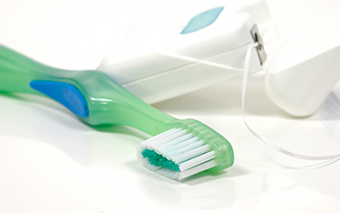 Our dental team can help you achieve fresh breath and a confident smile. Gum disease and tooth decay can leave your breath less than fresh, damaging your confidence and self-esteem as well as reflecting poor oral health. At S10, we will always encourage you to attend regular dental health checks and hygienist appointments to ensure that your teeth and gums stay in the best possible health, leaving you with fresh breath and a confident smile. If you have any questions at all about looking after your teeth, or if you want to find how you can make your breath fresher, our dentist or hygienist can give you lots of free oral health advice. Our S10 membership plans are designed to keep you smiling and include regular hygiene sessions as part of the affordable monthly payment. We also use the latest products and equipment when caring for our patients. Treatment options such as veneers, crowns and clear orthodontics can be very effective at removing the spaces between your teeth where food can get trapped (a common cause of bad breath or halitosis).